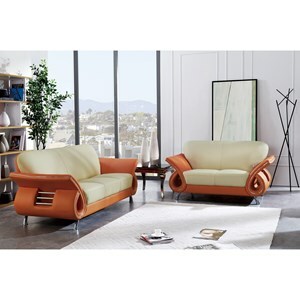 Upholstered in Black leather and leather match this has been modeled to cater to both the desires of the contemporary or transitional home for design and comfort. The U559 Contemporary Chair with Flared Arms and Metal Accents by Global Furniture at Value City Furniture in the New Jersey, NJ, Staten Island, Hoboken area. Product availability may vary. Contact us for the most current availability on this product. Browse other items in the U559 collection from Value City Furniture in the New Jersey, NJ, Staten Island, Hoboken area.